They have a brush nib and a smaller chisel nib and are smaller than Copic's other markers, with a circular barrel. 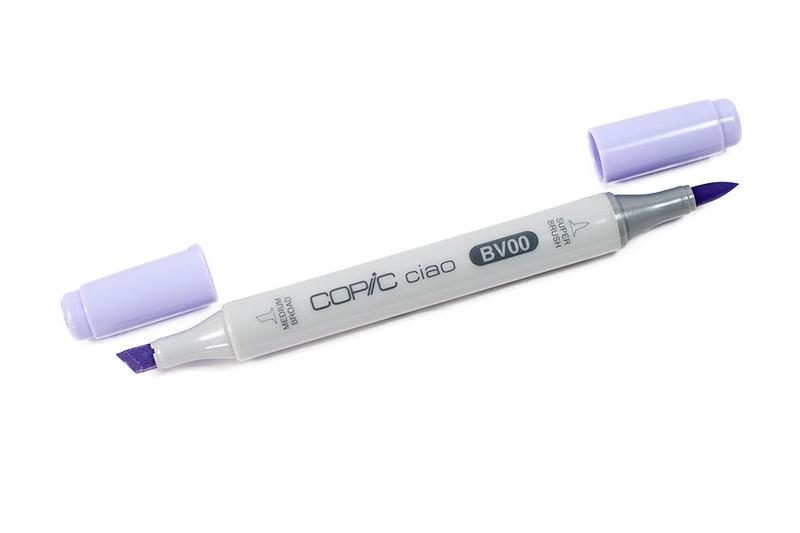 Double-sided Copic ciao has a brush nib, and a smaller chisel nib and both sides are replaceable. Permanent non-toxic alcohol-based ink and it's refillable. Alcohol ink dries quickly and makes a good colour. Even paint repeatedly, doesn't make the paper wrinkle. 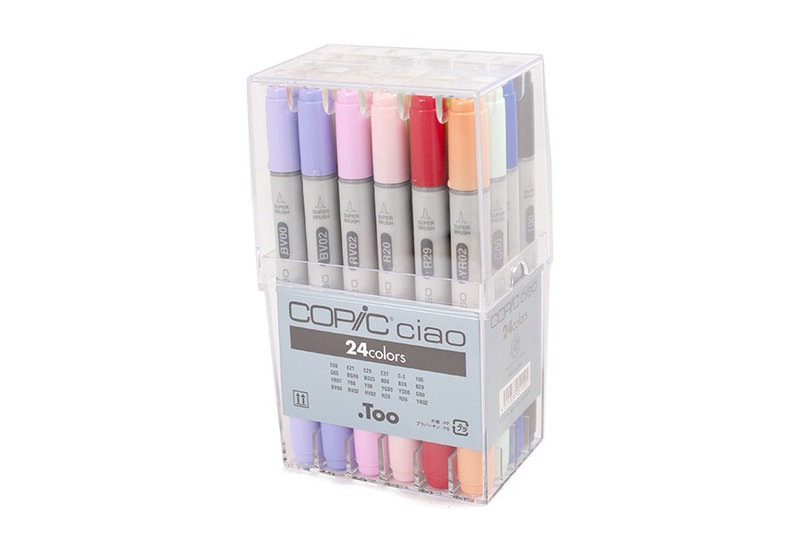 Copic Ciao has an exactly same ink and quality as regular Copic markers but just a small-sized for the beginner artists and students. 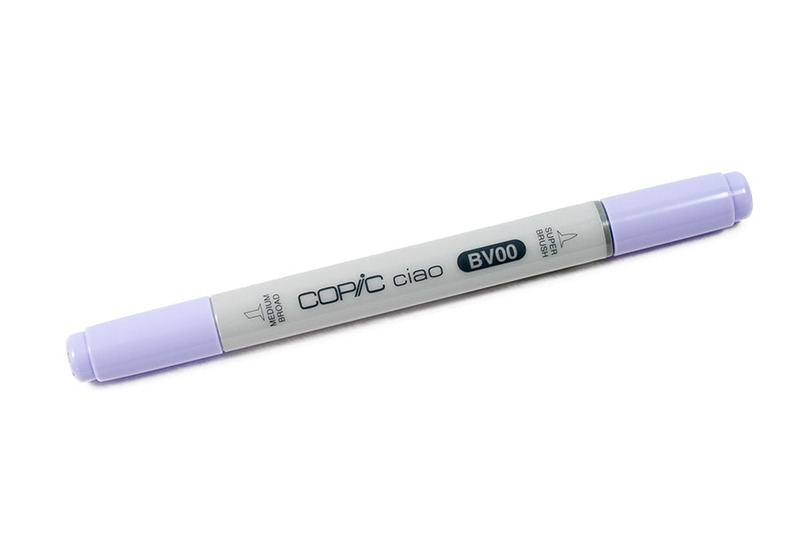 However, Copic Ciao is not only for the beginners but also the professionals since the quality is high enough as the regular Copic markers. 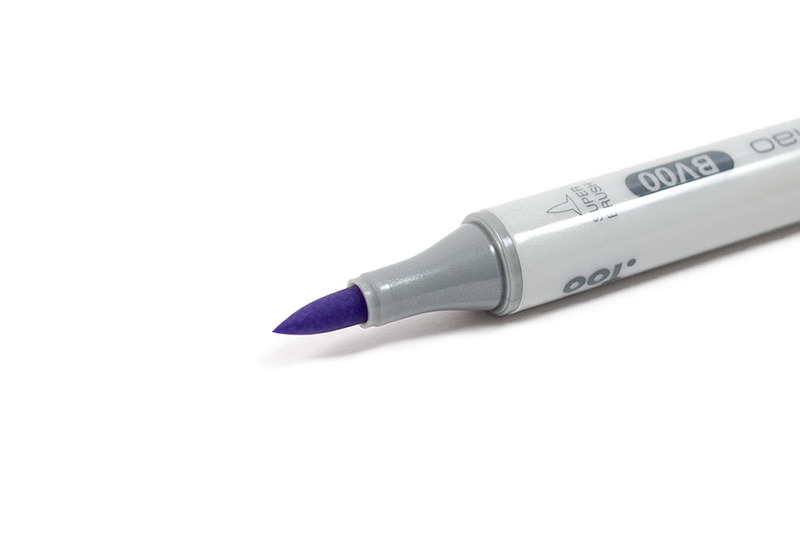 Copic makers the highest quality alcohol markers in the world. It is exporting to over 50 countries and being loved by all over the world. 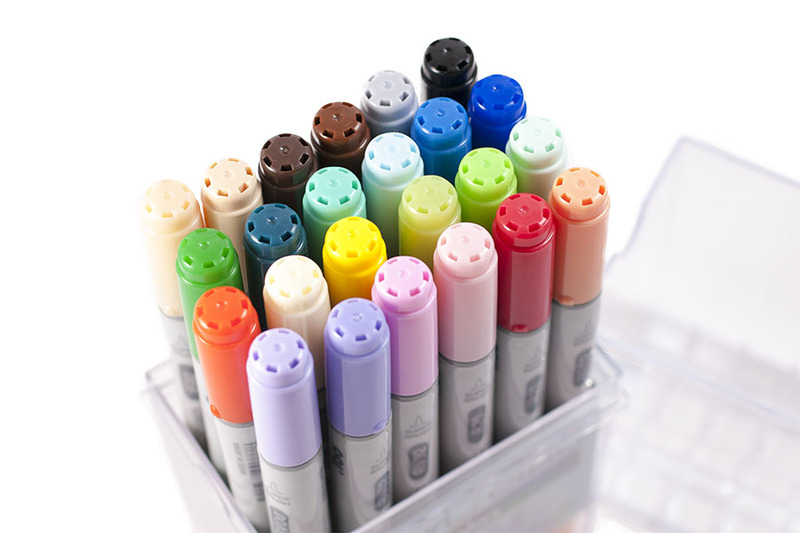 Developed for—and widely adopted by—the Japanese manga industry, Copic markers are ideal for all styles of art, design, illustration, and crafts. 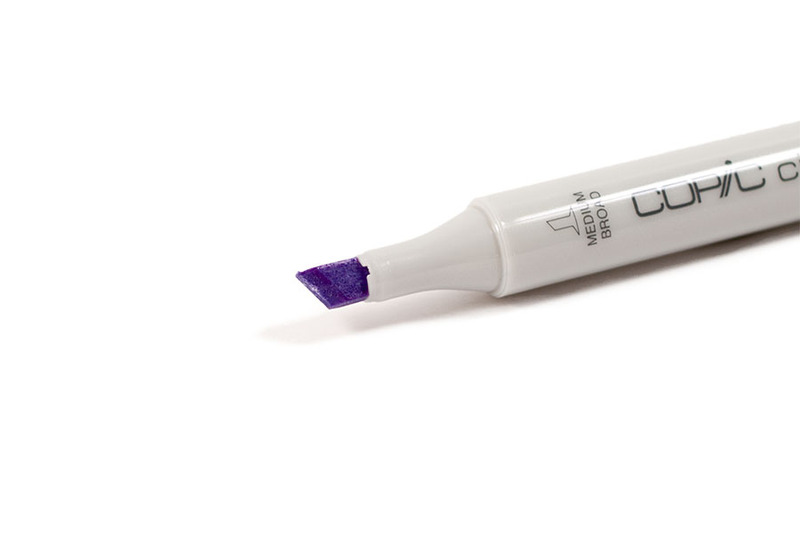 Durable, refillable, and featuring replaceable nibs, you only need to buy a Copic marker once.